Think you need to travel to the Atlantic or Pacific to enjoy an ocean or beachside vacation? Think again! Wisconsin is home to a number of “ocean-esque” beaches along its Great Lakes coastlines. These options all offer a budget- and family-friendly alternative to a more expensive vacation requiring air travel and at least a week of vacation time. Selected by USA Today as one of the “51 Great American Beaches,” North Beach is located on the Lake Michigan waterfront. This beach sits on 50 acres and has 2,500 feet of shoreline open to the public for swimming, fishing, and picnics. The beach has been designated a Blue Wave Beach (America’s first environmental certification for beaches) since 2004. The Beachside Oasis is also a part of North Beach, featuring a concession stand, live music, and the Kids’ Cove Playground – a gem located right on the beach. Things to Do: You’re in America’s Kringle Capital. The kringle, an oval-shaped, authentic Danish pastry, is produced predominantly in Racine County. With 32 layers of flaky dough and filling choices from fruits to nuts, this pastry leaves you satisfied. Visit O&H Danish Bakery to purchase your own kringle to take home. Travel to Lake Superior and the northernmost tip of Wisconsin and visit Madeline Island, the largest of the 22 Apostle Islands. The island’s boardwalk provides a guided walk along Big Bay Beach, allowing you to enjoy the sound of the waves while taking in the spectacular view of Lake Superior through the towering trees. With two miles of sand beach, swimming, and fishing, this park is both secluded and free, everything a vacation should be. Things to Do: Try stand-up paddle boarding, a popular activity that combines surfing and paddling. Paddleboards, canoes, and kayaks are available at several nearby Madeline Island rental companies. Enjoy a beer and a sunset at the casual and eclectic Tom’s Burned Down Café. This local bar was once damaged in a fire and instead of re-building, they covered the building with a tent and now allow patrons to leave permanent marks by writing on the ruins’ walls. Not a fan of sand in your shoes? Then Schoolhouse Beach is for you. Here, kids make stone castles instead of sand castles by using individual limestone pebbles polished smooth by Lake Michigan’s wave action. Excellent swimming is offered in a marked area with a diving raft. The water deepens fairly quickly for great diving, rafting, and snorkeling. The limestone rocks are beautiful, but don’t take one! Part of the beach’s charm are the handmade signs reminding patrons to leave the stones behind. The town park and beautiful wooded setting are perfect for picnics and grills. Things to Do: The Door County Peninsula is surrounded by numerous historic shipwrecks, including wooden schooners and steamers that sank in the mid-1800s. Depths of the ships range from as little as 10 feet to 225 feet. Shoreline Diving Charters offers guided cruises featuring these shipwrecks and more. Kohler-Andrae State Park is the home of majestic sand dunes, miles of golden beach, and the shimmering blue Lake Michigan water. This beach has the largest dune complex along Wisconsin’s Lake Michigan coastline and the unique wetlands within the dune complex provide habitat for many rare plants, some of which are only found on Great Lakes shorelines. More than 150 bird species have been spotted within the park, including many species of waterfowl and shorebirds and more than 20 species of warblers. Things to Do: Shop and explore downtown Sheboygan. Stop by Olivu 426 and experience the excitement of learning how to create your own beauty products fresh to order, adding your unique touch. Field to Fork Café serves breakfast and lunch favorites made with wholesome, natural ingredients from local farmers. Swing by the grocery section and buy fixings for lunch. (Picnic anyone?) Be sure to also take some time and explore the John Michael Kohler Arts Center. The center has 10 galleries, a theater, performance and meeting spaces, studio classrooms, an onsite retail shop named ARTspace, and a cafe. 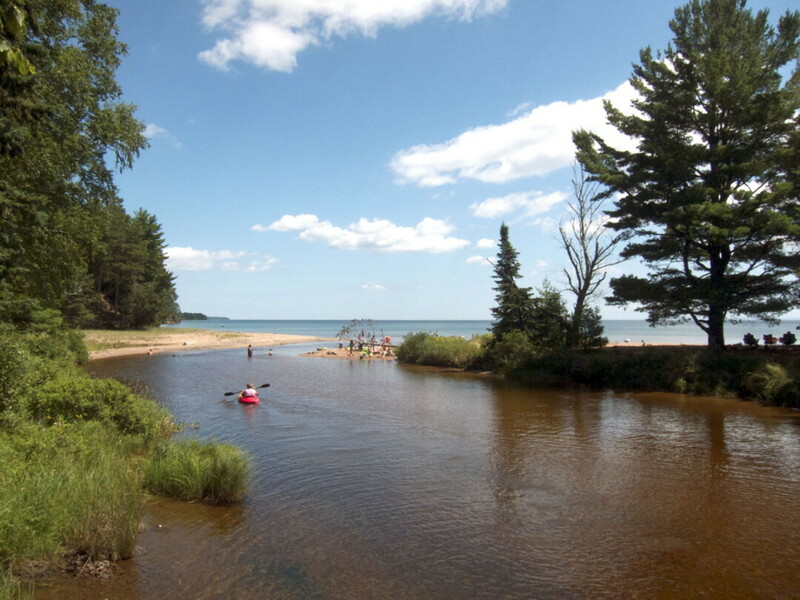 Point Beach State Forest is another family-friendly beautiful Lake Michigan beach offering several hundred yards of sand beaches, bike and walking trails, and picnic areas. Concessions are available at the beach house during the summer months. 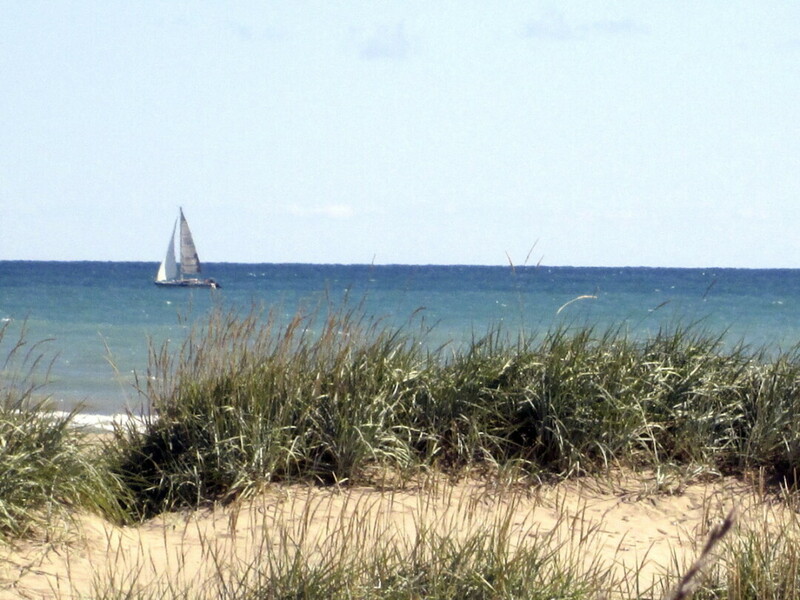 Bring your bicycles to this beach and ride the Rawley Point Recreational Trail – you can ride six miles to the Rawley Point Lighthouse at Point Beach State Forest or connect with the Mariners Trail in Two Rivers and ride to Manitowoc. Things to Do: Visit the Hamilton Wood Type and Printing Museum, the only museum dedicated to the preservation, study, production and printing of wood type. With 1.5 million pieces of wood type and more than 1,000 styles and sizes of patterns, the collection is one of the premier wood type collections in the world. In addition to wood type, the museum, which is often visited by current artists, typographers and designers from across the country, is home to an amazing array of advertising cuts from the 1930s through the 1970s. For more sights to see in the state of Wisconsin, visit travelwisconsin.com. Whether it’s roadside attractions, cultural tours, cross-country road trips, beach resort relaxation, romantic getaways, family outings, outdoor conquests, or out-of-country experiences, Volume One’s annual summer travel section has got you covered. In this year’s edition, we focus on the regional waterways and the cities and attractions that surround them – from adventure getaways to relaxing cruises and lighthouse tours. Check it all out in Hip Trips, where it’s always 70 and sunny.